Listeners travelled around the world in approximately two hours during Millersville University’s (MU) Fall Concert-World Songs: A Chorale Odyssey. 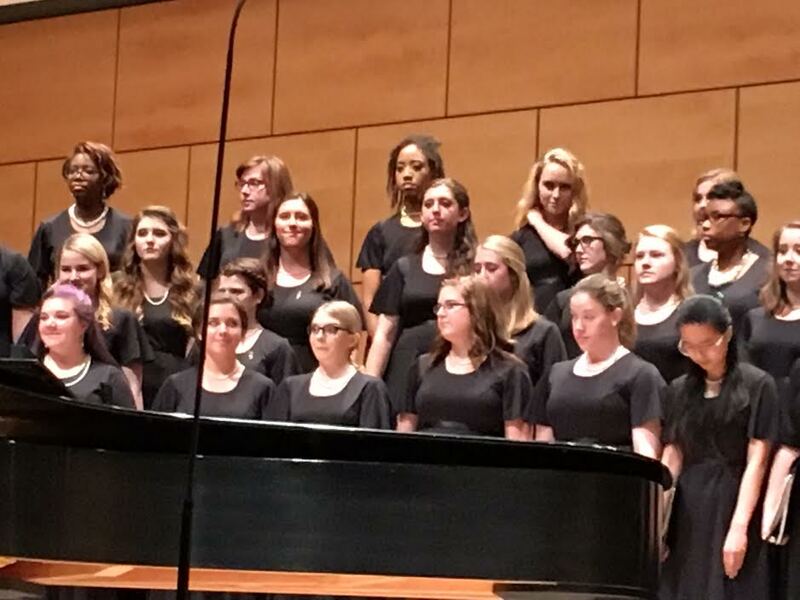 In November at 7:30 p.m. people gathered at Biemsdefer Concert Hall at the Winter Performing Arts Center to hear MU’s various choruses perform world repertoires. The concert sold out and they had to turn people away from embarking on the musical journey. The choirs kicked off the concert taking the audience to Africa with their opening number, Jambo rafiki yangu, as they stomped and clapped into the concert hall. Welcoming the audience to this adventure. The Cantilena Women’s Choir sung their way through Europe and moved south ending with an Indian Tarbam, Dravuduab Sithyramb composed by Victor Paranjoti. Then, the Marauders Men’s Glee Club travelled to the stage, filling the hall with a unique Nordic sounds as they opened with a song from the popular Frozen soundtrack, Vuelie. They continued their sounds to the United States and ended on a more tropical note, with a song from Lilo & Stitch, Hawaiian Rollercoaster Ride (He Mele No Lilo). The Chorale took the stage and preformed various European and South American compositions. Ending with a Samoan folksong, Minoi, Minoi. After, the University Choir performed Wana Baraka, that took the audience into the heart of Kenya and they also performed various Estonian Lullabies and ended with a soft Scottish sound performing “Will Ye No Come Back Again?” arranged by Niel Gow. The concert ended with a Choir Union, as they transported the audience back into the United States ending with The Star Spangled Banner.